We all love food that pop: popcorn, pop rocks, soda pop to name a few. They are fun food that taste good but unfortunately do not have much in nutritional value. If you want something different that pops, tastes good and has so much benefits for your body, pop some kidney beans. 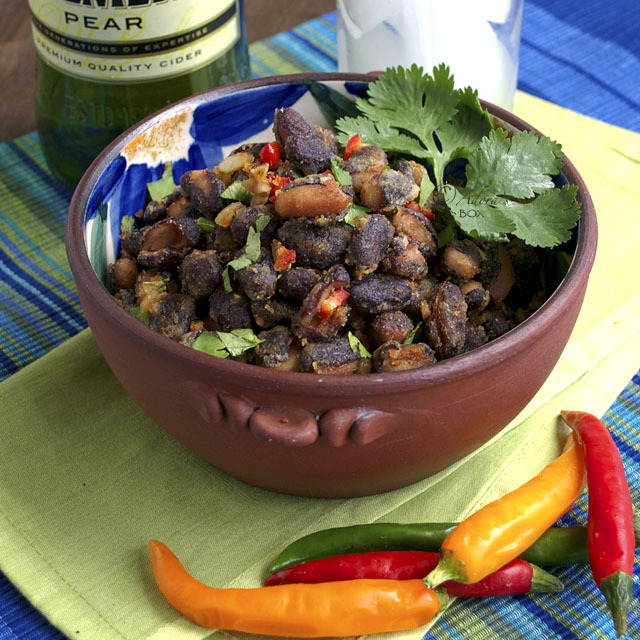 We all know that beans are rich in protein, calcium and fiber among other good things. It is good to know that we're not noshing on empty calories when we choose beans. Pork is the most preferred meat of the Filipinos. 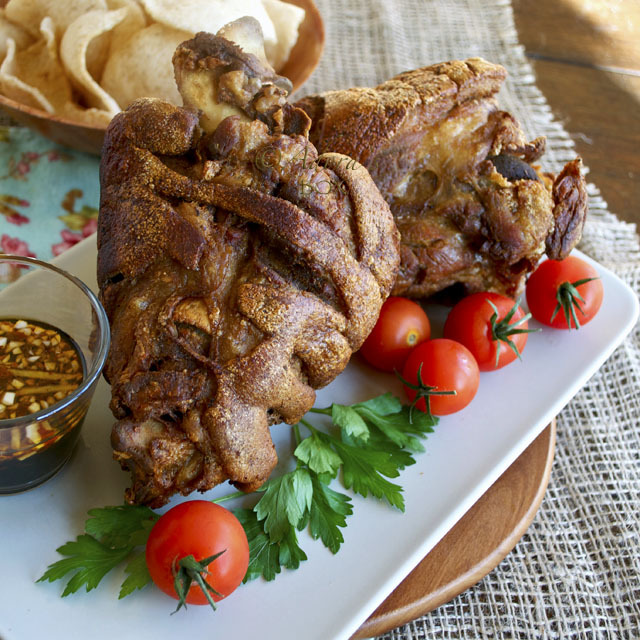 The number one pork dish is the whole roast pig called lechon_yes, speared in a bamboo stick, spit-roasted whole from the snout to the tail. Fantastic! Next favourite is roasted or fried pig parts. Tomorrow is Shrove Tuesday or better known to kids as Pancake Day. It is the day before Ash Wednesday which signifies the beginning of Lent when the use of eggs, flour, fat and milk are traditionally limited as a form of fasting and sacrifice. 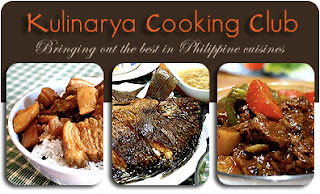 It is once again time to cook with my Filipino fellow foodies at the Kulinarya Cooking Club. Our hosts for this month, Abigail of My Nappy Tales and Marni of Kensington Kitchen chose a lovely theme for the month of February. The task is to cook a dish that reminds one of one's first love. I seem to be too old to remember the first real love. So I just had to think long and hard but can only think of one, just the one. It just has to be my husband. I'm not saying this because he reads the blog but because it is the feeling that I remember well. My husband is not a Filipino but a pure Chinese from Malaysia. 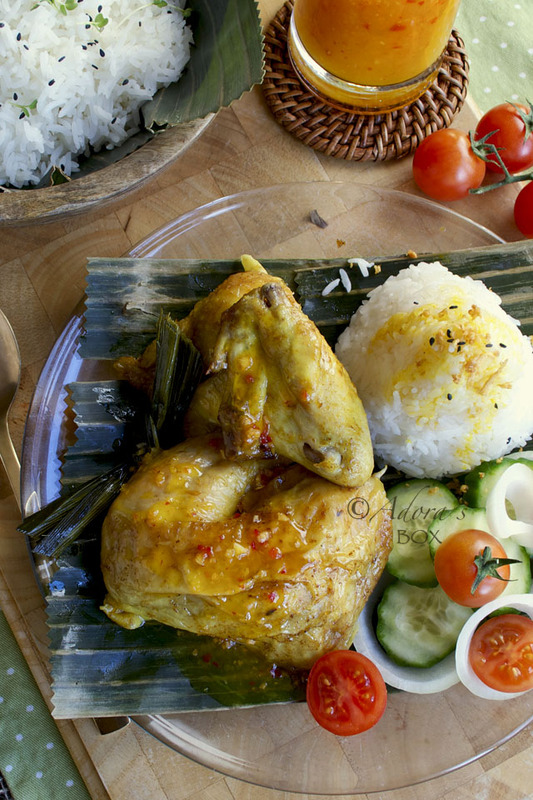 When he first visited the Philippines, he immediately fell in love with the cuisine. Among his favourites were crispy pata (crisp fried pork shank), bulalo (bone marrow soup), kari-kari (a stew with peanut gravy), grilled pork, clam soup, everything with ube (purple yam), mangoes, the list goes on and on. One dish, though, stands out. It is lechon manok. This is the poultry counterpart of roast pig. 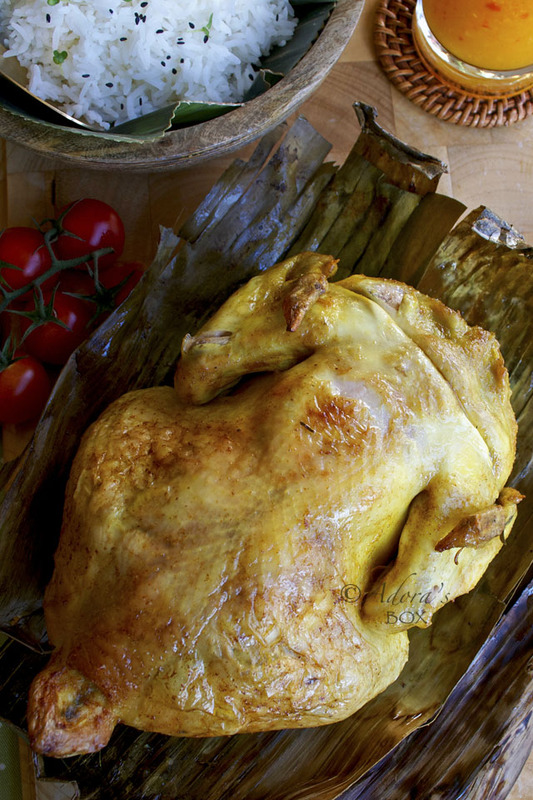 Lechon manok is Filipino rotisserie chicken cooked in an outdoor pit. As with all of our food, it is well seasoned and very tasty. Every time we visit home, there is a lechon manok on the dining table to welcome him. Although cooked on a spit, lechon manok is so unlike rotisserie chicken. 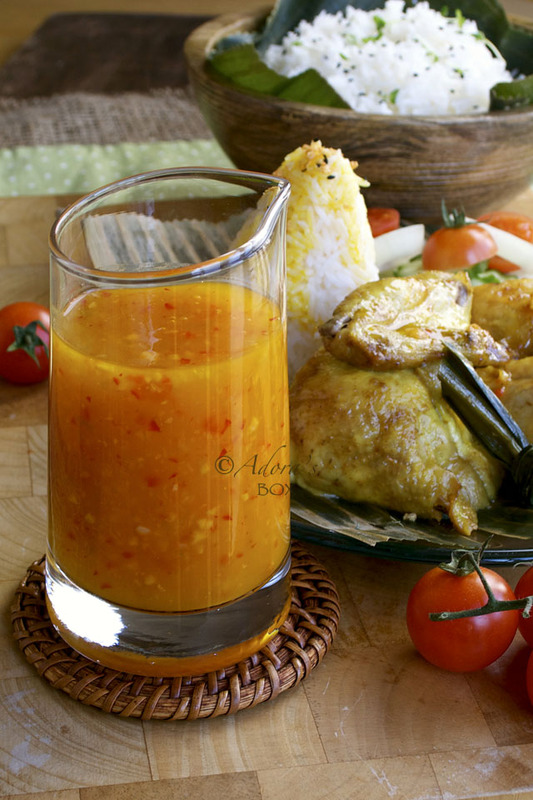 It has an aroma and taste that it quintessentially Filipino. I haven't yet come across a recipe that gives out the secret of the famous Andok's (a famous chain) lechon manok but this is my way of cooking it. 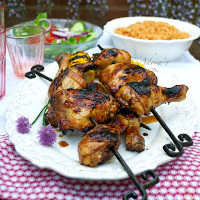 What I'm going for is a very fragrant and extremely tasty chicken that is evocative of warm climes and rural settings. My method of cooking lechon manok is nothing like the usual way it is cooked. 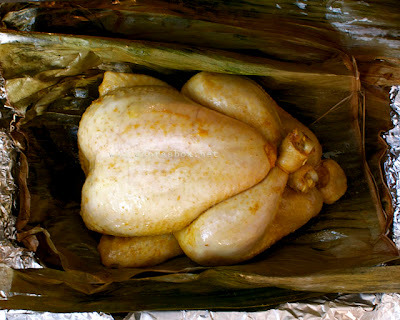 After seasoning the chicken, I wrap it in banana leaves and kitchen foil before roasting. 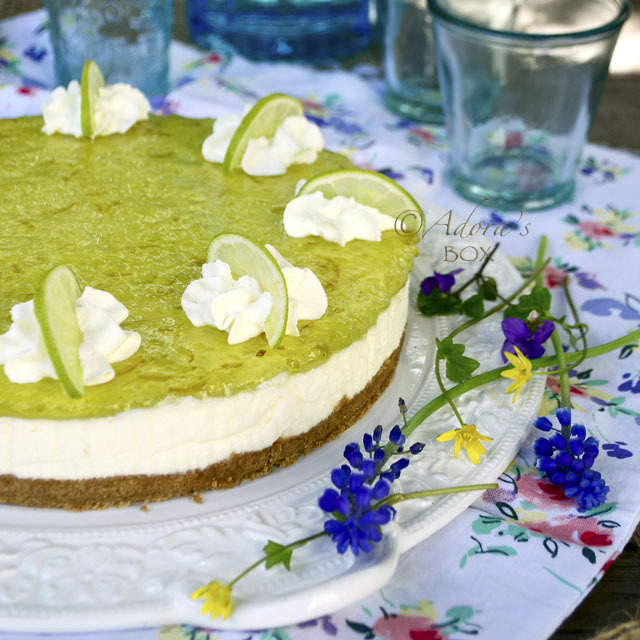 The cavity is also stuffed with garlic, ginger and pandan leaves. 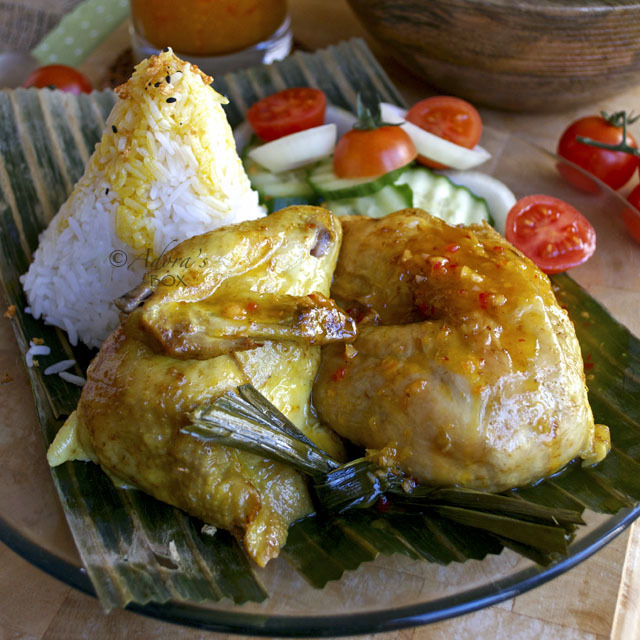 This results to a highly scented, flavourful and succulent chicken. Instead of the usual liver sauce that it is usually served with I opted for a fresher, zestier sauce using his favourite fruit: mango. 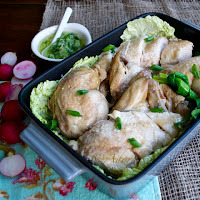 I hope people get to like this recipe because my husband wishes to open up a lechon manok chain in the future. Mix the soy sauce, salt, garlic powder, turmeric and lime juice. Rub the mixture all over the chicken, including the cavity. 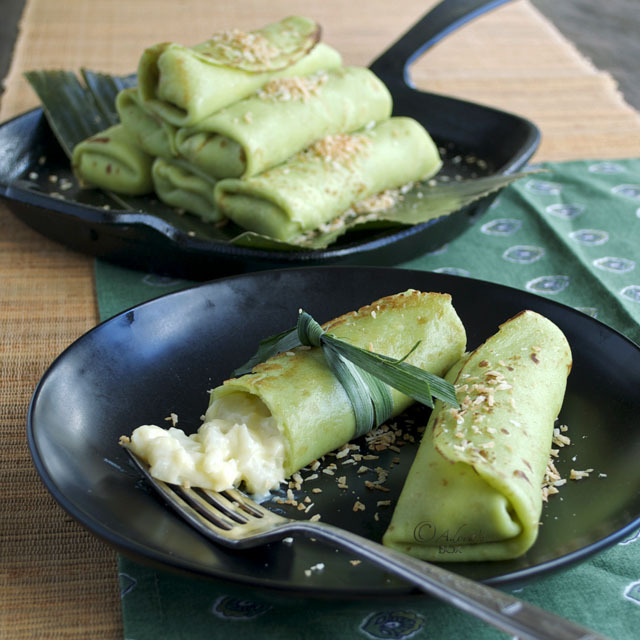 Stuff the cavity with the garlic, ginger slices and pandan leaves. Leave to marinade for 30 minutes. 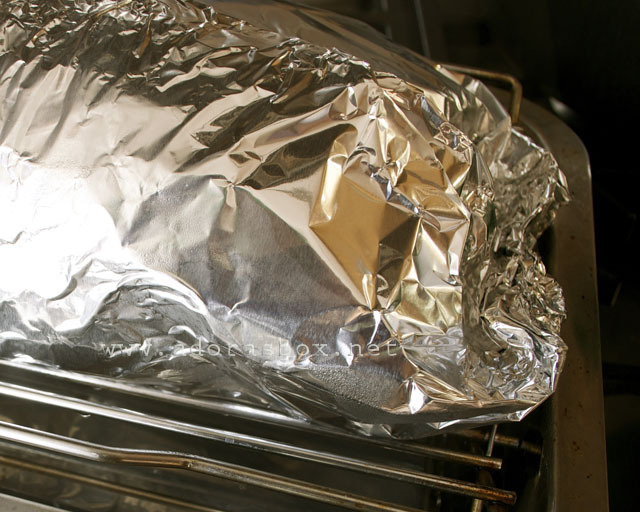 Preheat the oven to 400° F / 200° C.
Lay the banana leaves on top of a big sheet of aluminum foil. 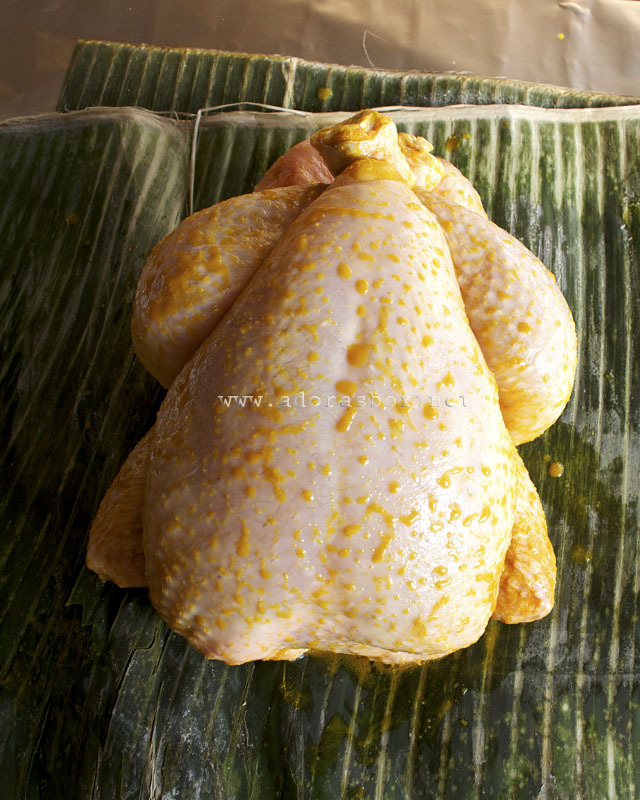 Lay the chicken on top of the banana leaves, rub with the 1 tbsp. of oil and wrap with the leaves then wrap tightly with the sheet of aluminum foil. Lay the wrapped chicken on a baking rack in a roasting tin. Add water to the tin so that the drippings don't burn. Open the chicken parcel. Cook for a further 50-60 minutes, turning at half time to brown the other side of the chicken. Brush with the drippings occasionally. 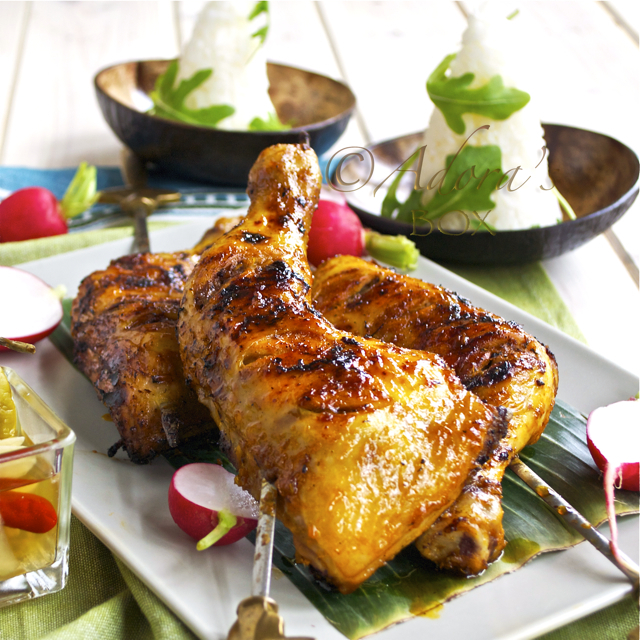 The chicken can also be cooked in a lidded barbecue instead of the oven for the last hour. Use a grilling tray so the chicken doesn't stick to the grilles. Let rest before chopping into serving pieces. Put the mango and lime juice and the sugar in a saucepan and bring to a boil. Stir until the sugar melts. Disperse the corn flour in the water and add to the mixture in the saucepan to thicken. Leave to simmer for 2 minutes. Add the rest of the ingredients, stir and bring back to a boil. Take off the heat and transfer to a jug or gravy boat to stop it cooking further. Serve with the chicken. 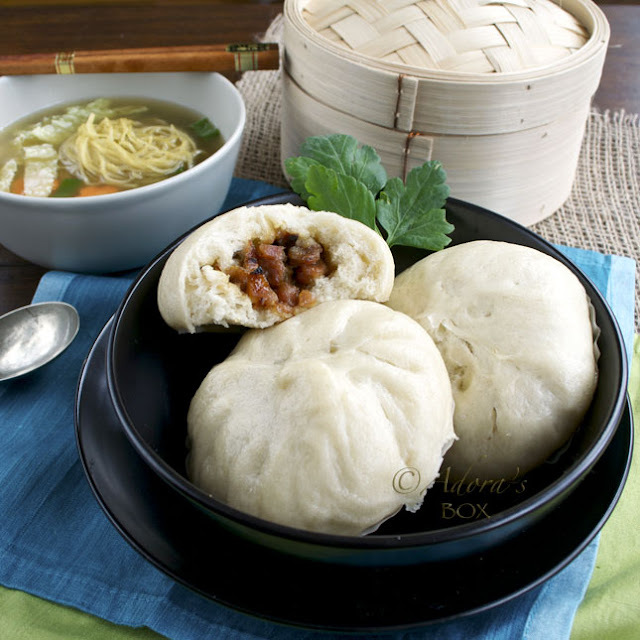 When I was growing up in the Philippines, siopao was one of my favourite food. 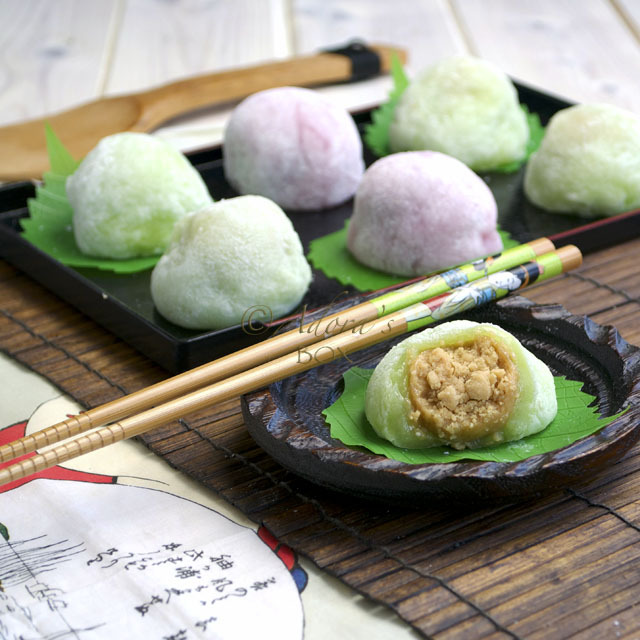 It is a steamed bun usually filled with meat. My favourite filling was the asado pork filling. The siopao from an old restaurant called Ma Mon Luk was legendary. It is different from the rest in taste and texture. It was huge but, as was the tradition, was always eaten with a bowl of noodle soup or siomai (dumplings) soup. I know it's crazy but that's how it is done. It's Valentine's Day once again and hearts are a-flutter_in the shops. Like Christmas, it is one of the most commercialized red letter days on the calendar. 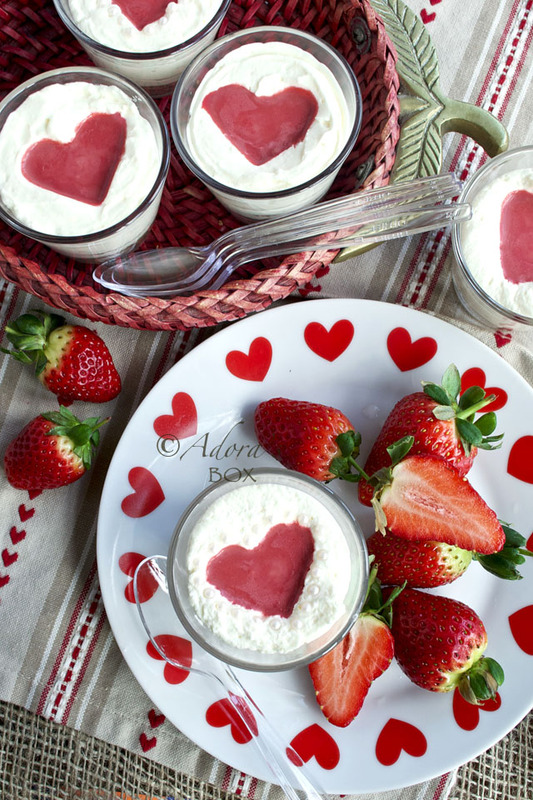 Valentine's Day is not just for those wooed and cooed at but for everyone with a heart. We have every reason to celebrate the day with our loved ones, just to remember how we are lucky to have them around. 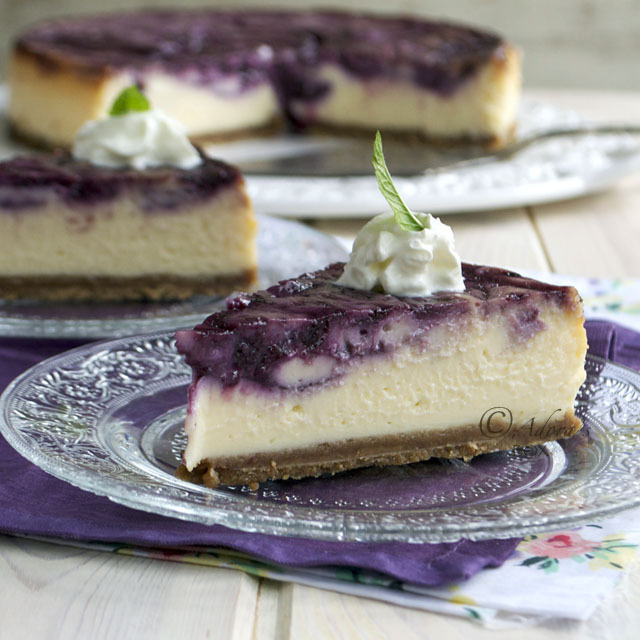 A simple but enjoyable meal followed by a sweet dessert will warm everyone's heart. 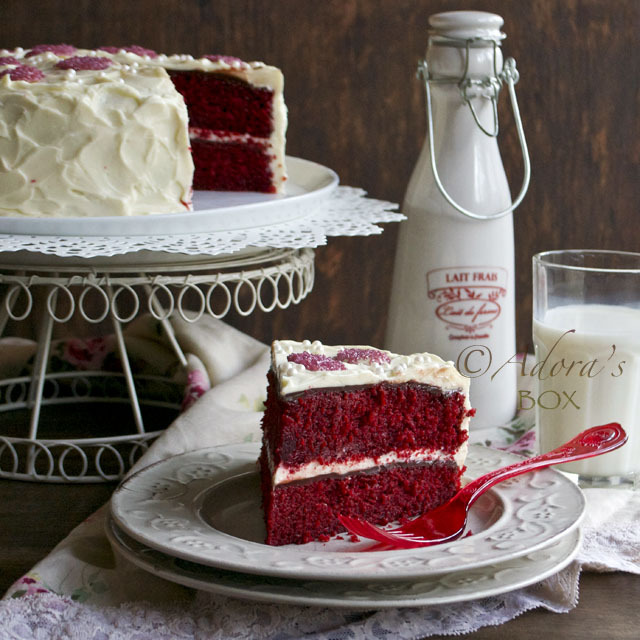 This dessert, inspired by the red velvet cake, will melt everyone's heart. Yes, even cold hearts can melt with this one. 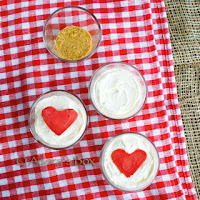 It is a mini soft set cheesecake in a cup with a melting red velvet heart center. It is a breeze to make so will have you pleased, too. 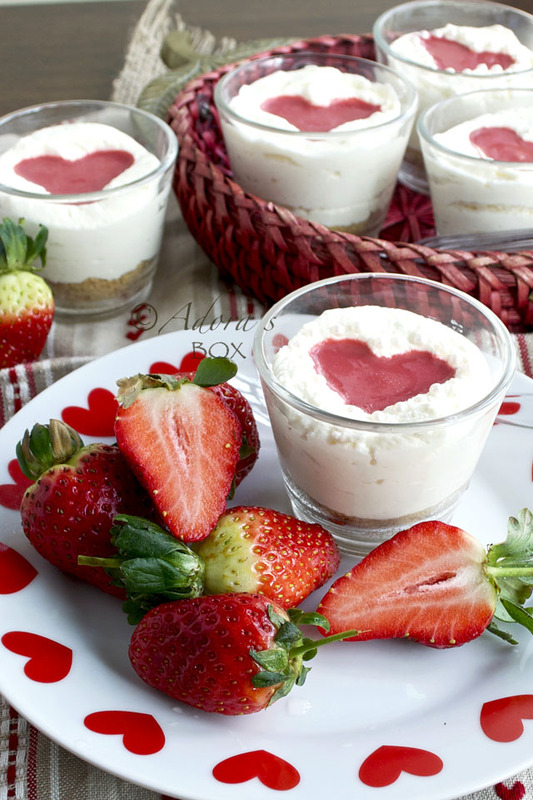 This recipe makes 12 cheesecake cups. 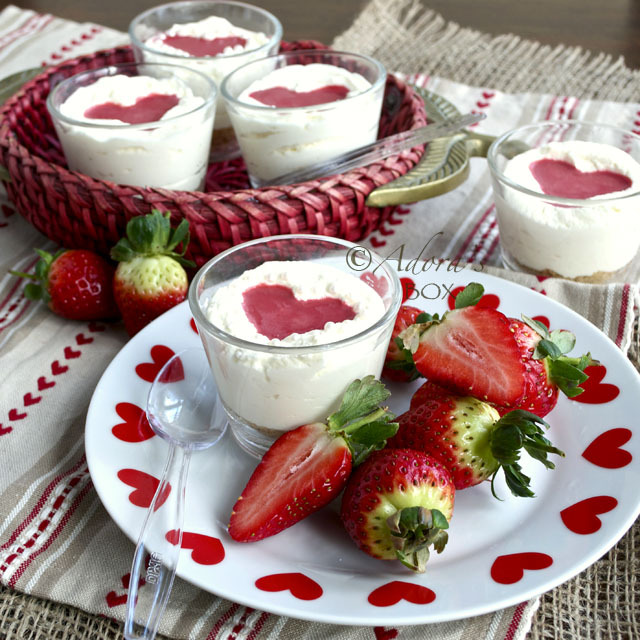 Ramekins or muffin cups can also be used instead of the glass cups. Mix everything together. Put 1 1/2 tablespoons of the mixture in each cup. Press lightly so it doesn't set solid. It has to remain crumbly so it can be scooped up easily with a spoon. Warm up the milk in the microwave for 30-40 seconds. 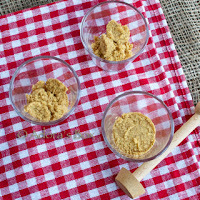 Mix with all of the ingredients and blend with a hand blender. Pour into greased moulds. I used a heart shaped ice mould (from Ikea) that takes in 1 tbsp. of mixture in each. You can use any shape you like. Freeze until firm (a few hours). 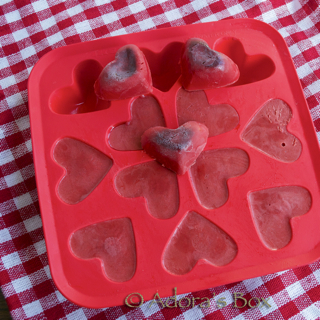 Unmold the hearts onto lined baking tray and re-freeze until ready to use. 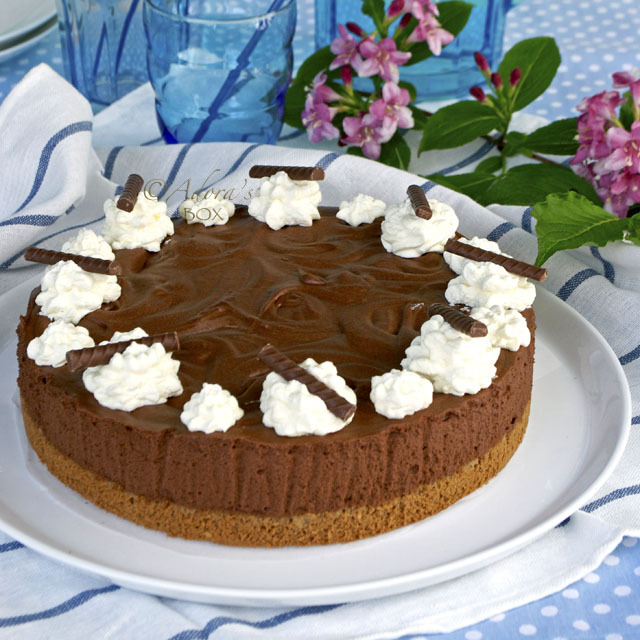 Whisk the cream and sugar together until light and fluffy. Add the cream cheese and whisk again until combined. Spoon into a piping bag. Pipe into the crumb base lined cups. Level the tops with a spatula. Press a frozen heart in the center, making sure that it is fully set in so that it doesn't flow out of the heart shaped indentation when melted. The heart melts in a few minutes. It is then ready to serve. My teenage daughter went out to our local TGI Friday with two friends and came back with a big doggie bag. The three skinny girls apparently ordered a platter of appetizers which, of course, they couldn't finish. They probably got tired of eating halfway through. She was pleased to tell us that she's brought us some food and we can have all of them except for the mozzarella stick (just one left). No problem, we'd more than gladly save that for her. 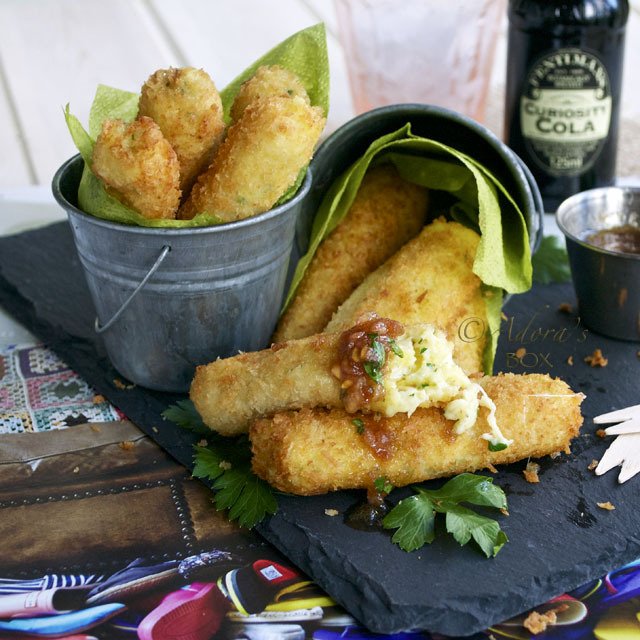 Cold mozzarella sticks are not that appealing.